Celebrated at venues throughout New York City, Print Week features lectures, exhibitions, demonstrations and gallery talks focused on printmaking and its vitality as an artistic practice. 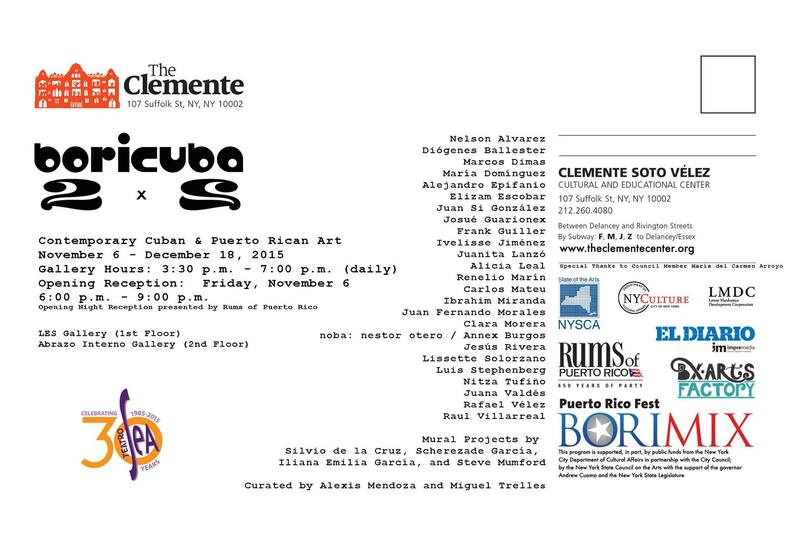 Visual art group exhibition of over 20 Cuban and Puerto Rican artists will be held at the Abrazo and LES Art Galleries at The Clemente Soto Velez Cultural Center (the Clemente), in the Lower East Side of Manhattan.The exhibition, which opens November 6 from 6-9 pm and runs through December 18, is part of the annual Borimix initiative and explores the relationship between the two island nations and their respective diasporas. Titled “Boricuba 2X2,” the exhibition takes as its point of departure the famous statement that Puerto Rico and Cuba are “wings of the same bird”, alluding to multiple similarities in their background. 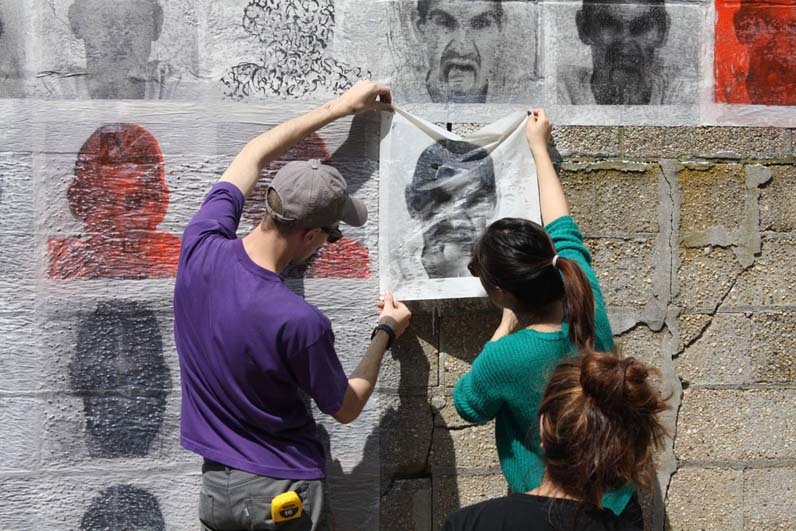 The exhibition includes sculpture, painting, drawing, prints and installation made by Cuban and Puerto Rican artists. According to the curators Alexis Mendoza and Miguel Trelles, “Puerto Rico and Cuba share a strong Taino strand, a common Spanish colonial heritage and have African presence that have acted as ciphers of geopolitical brinksmanship since colonial days”. Boricuba 2X2 is a fraternal exhibition aiming to strengthen the bonds of history, mutual respect and solidarity that bind both islands in order to share them with New York City. Opening Reception: Sunday, September 27, 2015 from 2-4 p.m. Rethink the way a book appears – not the words, but the form itself – and you may get a sense of the unusual artworks that will be on display. The exhibition features more than 120 biblio-inspired works from 60 artists. The viewer is invited to think about how information is conveyed and how it is received differently based on its form. These are not tomes to be read. They are works that explore the book as an item to be altered, transformed or completely re-imagined. Lecture: Wednesday, October 14, 2015, 6:45 p.m., Romita Auditorium, Mooney Center. Alexander Campos, Executive Director and Curator, The Center for Book Arts, sponsored by the Art Department, School of Arts and Sciences.